Learn about Spanish Wine Lover’s most popular pieces in 2017. Some of them are unexpected but pleasant surprises. It is not easy to predict which contents may work better online. Tried and tested pieces like those “best of” lists don’t always work as well as expected. In contrast, niche features and even technical pieces may turn out to be of interest. I’ve come to the conclusion that popular pieces all share certain traits: a) powerful and captivating stories, often associated with unique landscapes and people; b) producers with individual, strong styles whose wines reach cult status; and c) information that helps readers to gain a deeper understanding of different Spanish wine regions. Below are Spanish Wine Lover’s most popular pieces in 2017. Some of them are unexpected but pleasant surprises. Written by Pedro Ballesteros MW, Cangas, from coal mines to fine wines was the most-read piece in our site in 2017. The story about Cangas, a remote wine region in Asturias, was published in February. Part of the success can be explained by the fact that the piece has been online for almost a year. As there is so little written about the region, the piece must have featured prominently on Google’s organic search. But above all, I find two key elements that make this feature special: firstly, Ballesteros sets his piece in an international context weaving wine and the mining industry; secondly, the singularity of these wines sourced from almost extinct vineyards and a plethora of unique indigenous grapes. Three of the most popular features shared detailed analysis about different wine regions. Exploring Ribera del Duero with maps and facts provided revealing statistics and data about this prominent wine region and included a free downloadable map of the area for our subscribers. Rioja in the 21st century: style and categories of wine aimed to shed some light on the amazing diversity of styles found in the region. 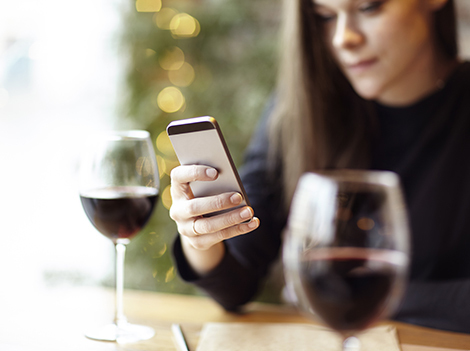 We compiled a list with the most representative wines and producers in each category to give consumers consistent clues about where to find top value wines as well as niche products like whites and single-varietal wines. Spanish Wine Lover has always been interested in discovering the perception of the country’s wines outside our borders. That’s why we are delighted to discover that last week’s feature with international experts choosing their top Spanish wines has generated so much interest –it was the most-read piece in the shortest period of time and stood out among our site’s most popular pieces of the year. Experts’ opinions –at least those of well-known, international critics– seem to be highly esteemed. We’re particularly happy to gather the views of respected voices in the wine industry as they share their frank —and sometimes critical— opinions. One of those that made it to the top in 2017 was Yolanda Ortiz de Arri’s excellent interview with Paco Berciano and Maribé Revilla, the wine merchants behind Alma Vinos Únicos. Recommended wine lists are the sort of piece that usually work very well online, but the only one that reached the Top 2017 among the various selections we published this year was Ten smart buys that reflect Rioja’s amazing diversity. Catastrophes are generally newsworthy and bring in readers, both in general media and in wine media. European and Spanish vineyards were badly affected by various weather phenomena in 2017, but none were comparable to the devastating frosts in northern Spain on the last week of April. Finally, we though you may like to know who are the most searched-for producers in our Wineries section. Surprisingly, the list is headed by Frontonio in Fuendejalón, a little-known region in Aragón, but the fact that Fernando Mora, our brand new Spanish Master of Wine, is behind it seems to have aroused interest in his wines. Next comes a bunch of small producers whose wines have been widely praised and seem set to become cult wines: Roberto Oliván, the new enfant terrible behind Tentenublo in Rioja; Abel Mendoza, the driving force behind terroir-driven wines in the same region and Comando G, rescuers of old vine Garnacha in Gredos (Central Spain) and advocates of subtle, Burgundy-styled reds.